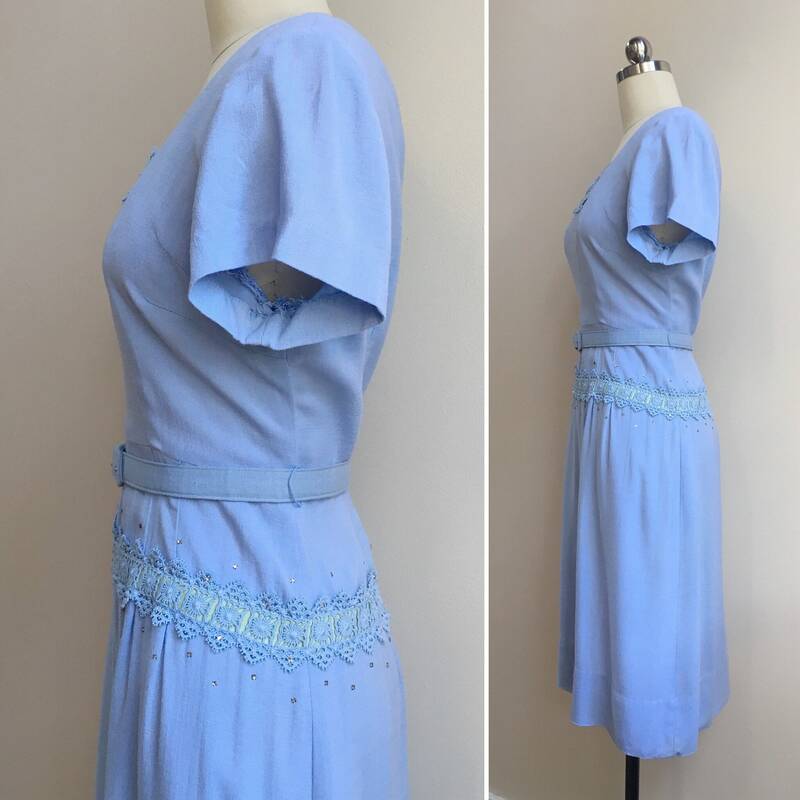 Vintage 1950s short sleeve light blue cotton / linen blend fitted dress with lace, ribbon and rhinestones detail and matching belt. 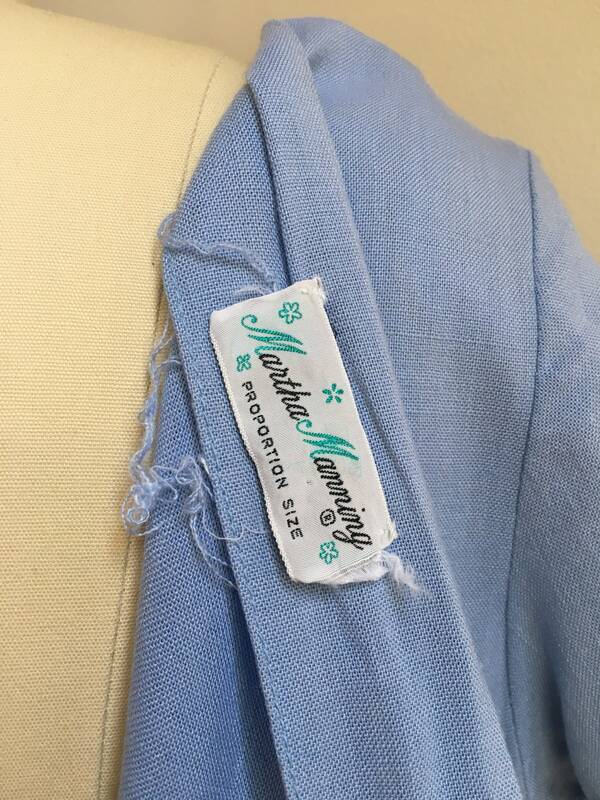 Near perfect vintage condition; very little to no wear from age and use. 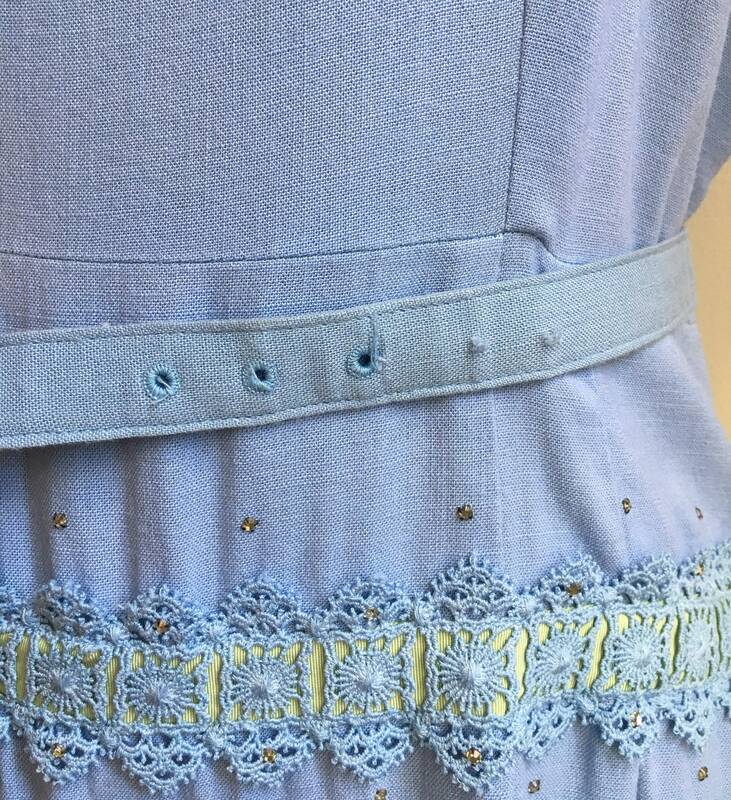 Very little stress on dart seams on bodice at bust line. 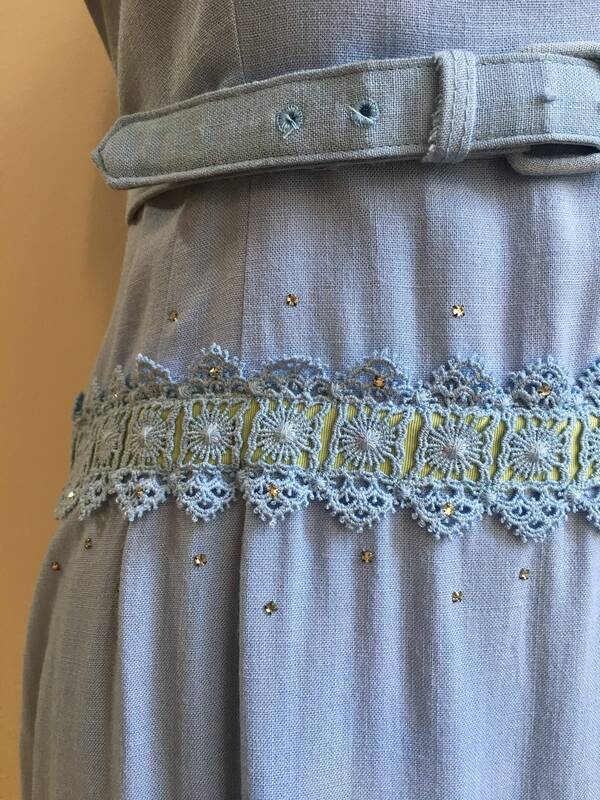 Light wear and light discoloration to belt with two extra holes punched behind finished holes to fit smaller waist (see photo). No other flaws to note; no holes, rips, tears, stains, markings, discolorations, snags or open seams. Bodice has square neckline with short fitted sleeves. 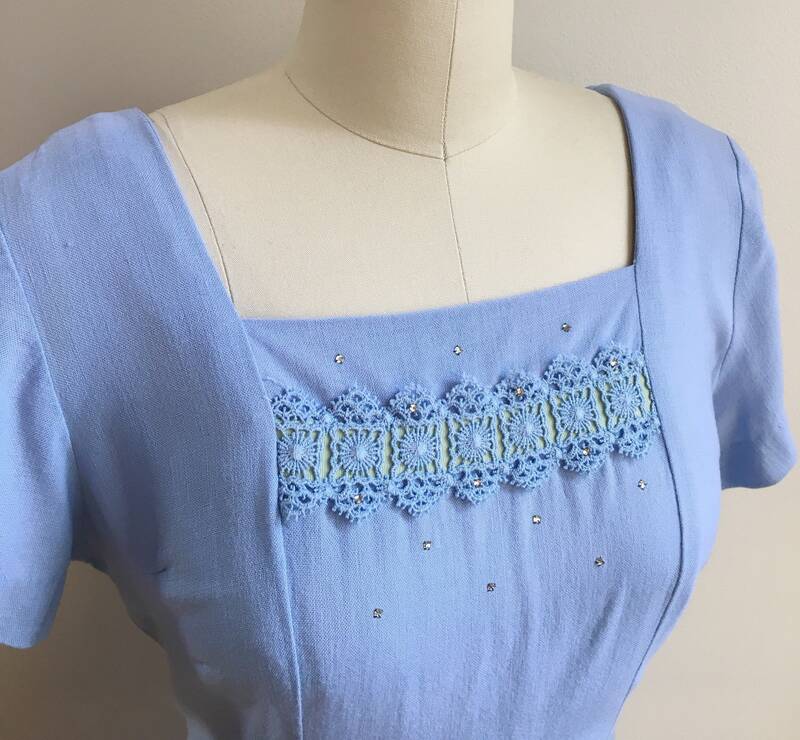 Horizontal panel of blue lace and green ribbon with small white rhinestones across bust line. 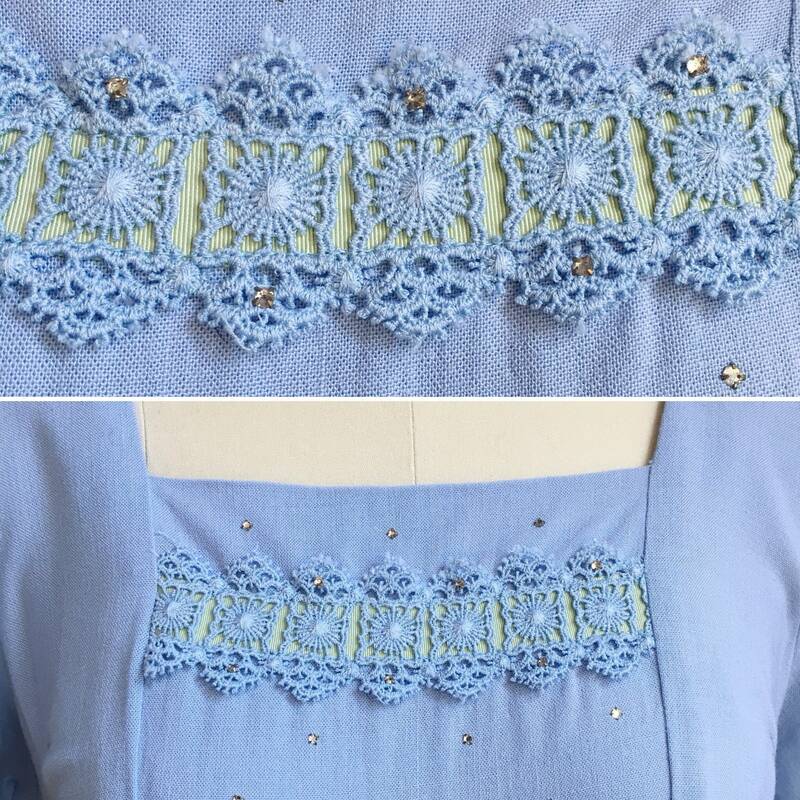 Lace, ribbon and rhinestones are all very clean and crisp. No rhinestones missing. Two horizontal seams on either side of decorative panel. 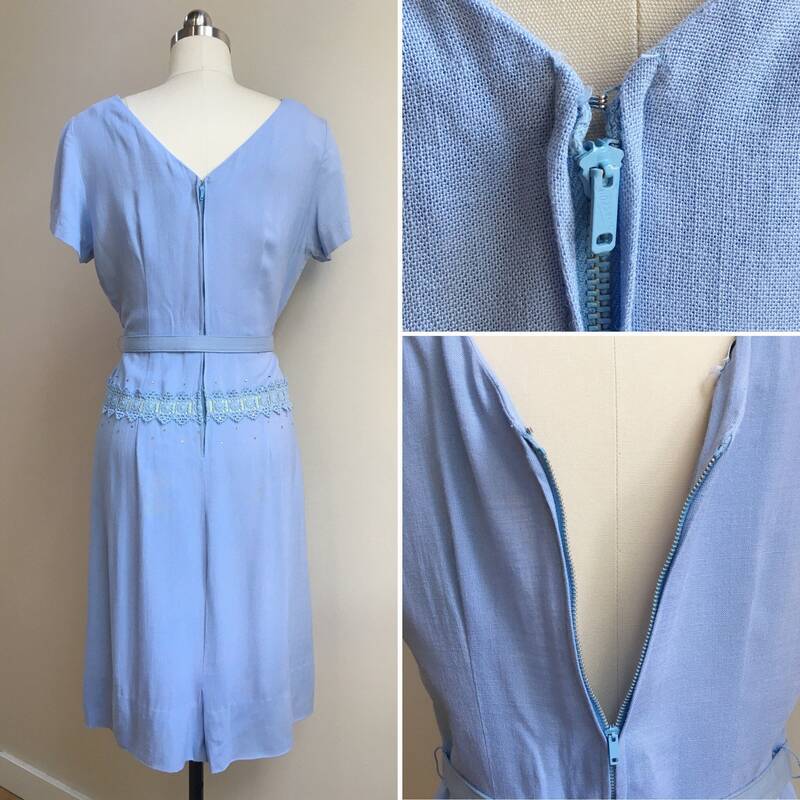 Both belt loops present and intact at each side of waist. Metal zipper down center of back. Zipper in great working condition and opens and closes easily and securely. Fitted, pencil skirt bottom with same horizontal decorative panel as on bodice. 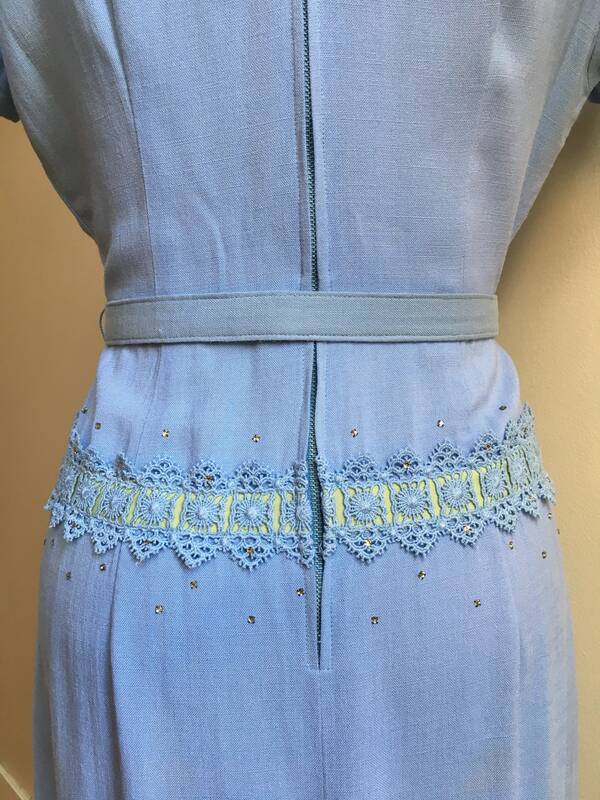 Lace, ribbon and rhinestones clean, crisp and clear, as on bodice. No rhinestones missing. 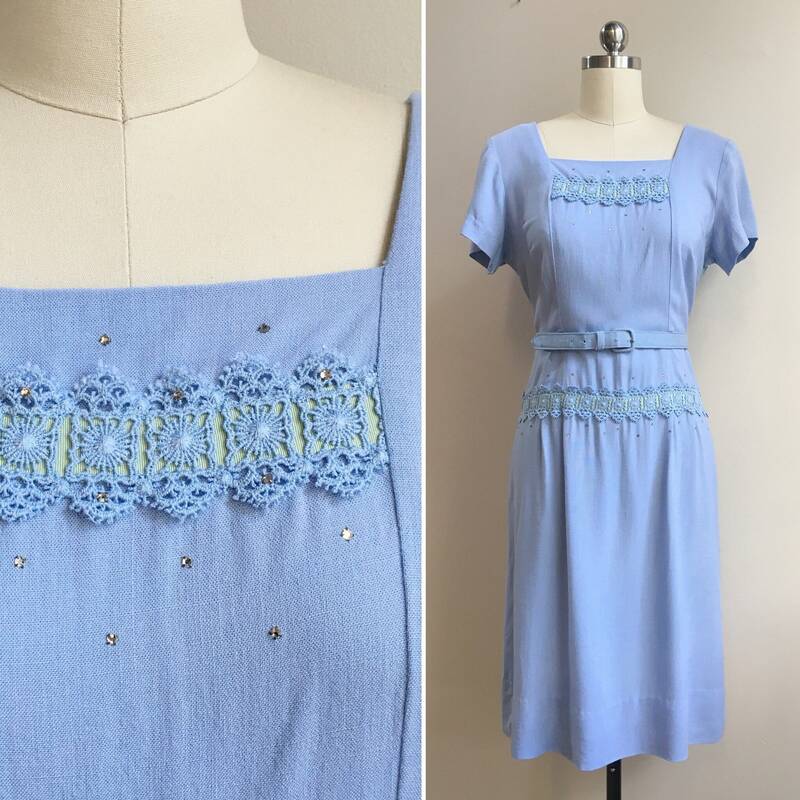 Small kick pleat in back. Tag reads 'Martha Manning Proportion Size'. 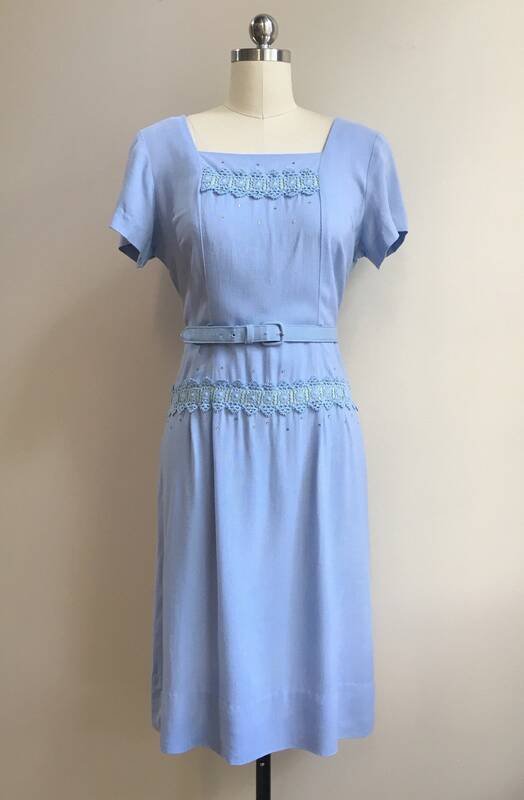 Dress is larger size than mannequin; dress is pinned to fit mannequin.